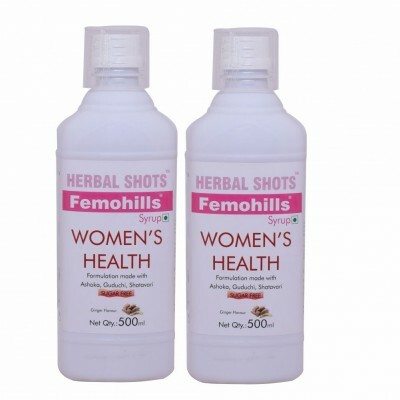 Femohills is a herbal tonic which may be beneficial for women health. Femohills contains goodness of herbs like Ashoka, Triphala and Guduchi is considered to have rejuvenating properties. Femohills may help maintain healthy energy levels in women. This product is not intended to diagnose, treat, cure or prevent any disease.This product is Dietary Supplement and not medicine.